Use both antiperspirant and deodorant. Antiperspirant deals with moisture. It keeps you from releasing the salty, odorless fluid commonly known as sweat. Deodorant deals with odor. It keeps your friends from dodging hugs. Deodorant kills bacteria, the source of body odor, and it contains fragrance for covering up any unwanted scents. 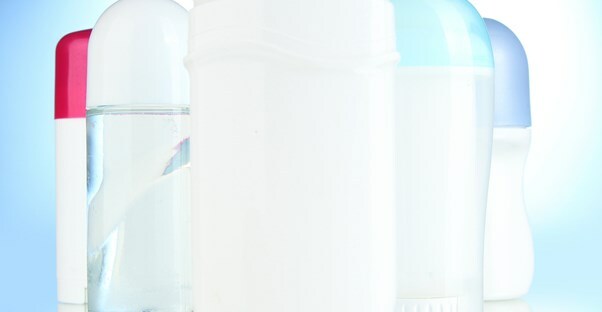 Most people use both deodorant and antiperspirant, and most products contain both. You perspire during sleep, and dermatologists recommend applying deodorant and especially antiperspirant at bedtime. Nightly applications allow time for antiperspirant to move into your sweat glands and clog your pores. This process is what keeps you from sweating. You may see better results by using deodorant and antiperspirants both at night and in the morning. When applying, you will want to massage it in to facilitate absorption. Hair can act as a sponge and absorb and store body odor, so if you perspire excessively or struggle with body odor, shaving may be a good idea. But shaving and then applying deodorant or antiperspirant to damp skin soon after shaving increases your potential for developing a skin rash. Allowing time for your skin to dry thoroughly will help prevent unwanted underarm irritation. If necessary, use a hair dryer on a cool setting to dry away any residual moisture. Whether you spray, roll on, or swipe your pits with a solid stick, taking a few extra seconds to massage your deodorant and antiperspirant into your skin will help facilitate better absorption. If you have sensitive skin and deodorants tend to give you red itchy rashes or make you feel like you have hot beds of coals under your arms, there is something you can do besides grit your teeth and endure the burn. Firstly, you will want to immediately discontinue using products that irritate your skin. When purchasing new deodorants, the Federal Drug Administration (FDA) recommends reading the ingredients and cautions against trusting wording such as “natural” and “hypoallergenic,” as these have no official meaning and may be used liberally by manufacturers. Avoiding products that contain alcohol, fragrance, essential oils, parabens, lanolin, or propylene glycol may be a good idea also. The National Institutes of Health identify these ingredients commonly found in deodorants as common skin irritators. Why make things harder on your deodorant than they have to be? You can do a few things to minimize perspiration and stay dry and smelling great. The Mayo Clinic recommends bathing daily with antibacterial soap, dressing in breathable fabrics that are temperature-appropriate, avoiding caffeine and spicy foods, and practicing stress-reducing behaviors, such as relaxation techniques.